St Louis: Bellerive. It sounded more like a spa than a golf course, and it has played like it so far at the PGA Championship. All it had for defences were some picket fences, and dank ponds with bending old trees, and a thunderstorm. Otherwise the door to the place was wide open, and any bold squatter could take up residence on the leader board. Charl Schwartzel hadn’t made the cut in a major this season, but the effect of Bellerive on his game was better than an infirmary: He felt so revived here that he shot a 63 that tied for the lowest round in tournament history. Which would have been more of a feat if it was the only one. But it wasn’t. 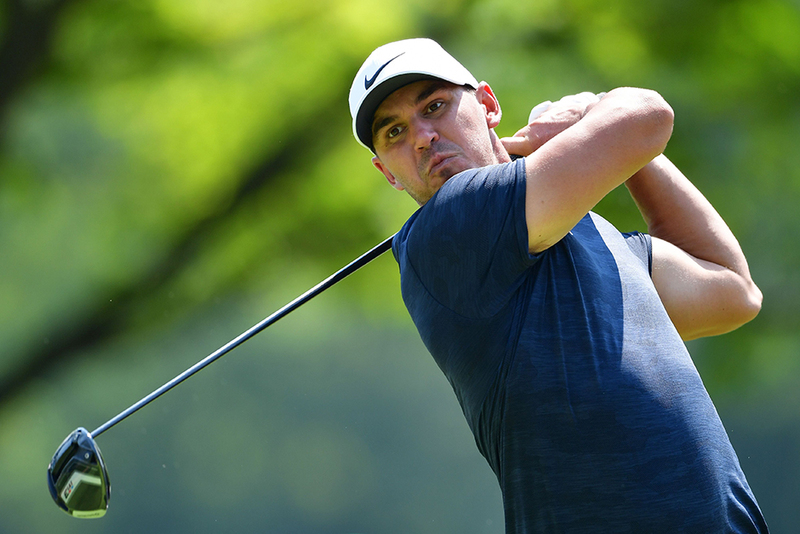 Here came Brooks Koepka with a second-record 63, only the second time such a thing had happened in major championship history. Here’s how easily Bellerive yielded to her gentleman guests: Both players just missed putts for 62s, and you wondered if a 61 wasn’t out there somewhere before rain halted the second round. Bellerive. It sounded like dancing. Like waltzing, which is what all those low scorers looked like as they promenaded around the par-70, skipping so happily from one tee to the next. There were so many red numbers that it was almost desensitising — a total of six players shot 65s in the morning wave. When Kevin Kisner came in with his 64, it seemed almost a ho-hummer, leaving him one stroke shy of Gary Woodland, who at 10-under-par was the leader in the clubhouse with a tournament record low of 130 for 36 holes. By the time play was suspended by fat black clouds and drenching rain, the field was on pace to set another record low, for 36-hole cut at a PGA. It was projected to be at even par 140. Bellerive. It sounded like a pleasure yacht. The course was already plush and inviting before the rain came, and the heavy downpour promised to do nothing but make it an even more tender and receptive hostess. Every fairway and green here is damp, thanks to a Midwestern humidity that mixed with grill smoke, and made the sweat bead on players even when they stood stock still. The grass here, called Zoysia, is thick and spongy, good for laying in on a summer’s day and plucking a blade to whistle through. But not so great for challenging the world’s greatest golfers. But the majors aren’t supposed to be for just anyone, are they? And that was the problem. Bellerive. It sounded like a vacation chateau, or maybe just a pretentious motel. The low scoring made lots of action, and that was certainly encouraging for players who needed a lift in their game, like Tiger Woods, who opened with three birdies in his first five holes before play was halted. But it also let too many people in the door, as Jordan Spieth pointed out, after a rehabilitating 66 during which he worked out some kinks in his swing. “You can just, you just fire in and you get away with more,” Spieth said, “like you don’t have to be as precise. That’s frustrating in a major championship because typically what it does is you don’t really have to be as precise on and around the greens. “That’s frustrating to me because I feel like that’s an advantage that I have. So personally, I would prefer more difficult and firmer, faster conditions on the greens. If you’re hitting it down in the fairway with the way the greens are designed, you can get the ball to about 15 feet on almost every hole. If you do that well, and, obviously, in there you’re going to make those putts.